The DCEU, DC Extended Universe, recently released their anticipated superhero team-up film, Justice League. Justice League follows the DCEU’s first critically-acclaimed film, Wonder Woman, which grossed over 821 million dollars at the box office. 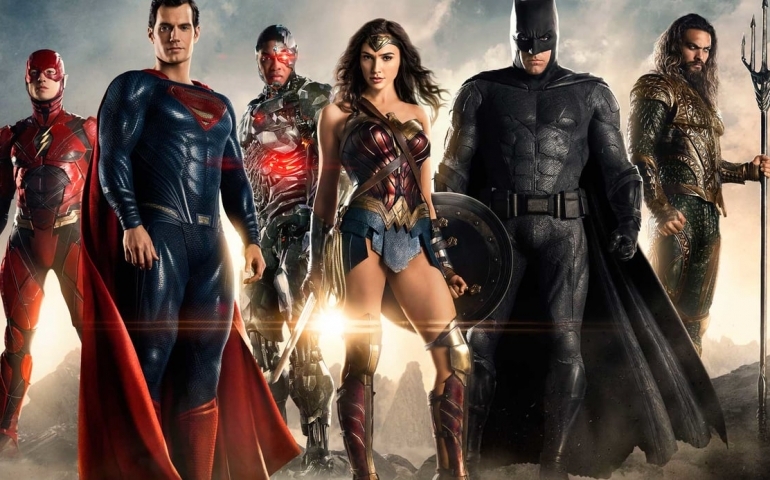 The film would also be the first full-length appearances from the Flash, Aquaman and Cyborg. Justice League is a mixed bag of a film. The film is much better than its predecessors, Batman v Superman: Dawn of Justice and Suicide Squad, but it is not better than Wonder Woman. Justice League has some of the elements that made Wonder Woman a fantastic movie, but it also has the some of the elements that made Suicide Squad flop as bad as it did. First, let’s get the negatives out of the way. The film tries to do too much too fast. The other extended universe, MCU, is already seventeen movies deep. They have already had two team-up movies, and they possibly have one of the biggest cinematic events coming out next year with Infinity War. The DCEU skipped having backstories for the Flash, Cyborg and Aquaman and rushed into making Justice League to catch up with MCU. The MCU gave each member of the team a movie to set up the coming events. The movies got the viewer invested in the characters as sole persons before seeing them as a team. This may have gotten even more viewers for the film. Two problems that plagued this film along with every other film in the DCEU are the overuse of CGI and a weak villain. The action scenes in the film are not very remarkable because of the use of CGI throughout the film. It makes the action not seem entirely realistic, which makes some viewers not as invested. Superman’s mustache was taken away with the use of CGI. If you can, take a look at Superman’s face throughout the film, and you will see why too much CGI can be a bad thing. The weak villain that plagues many superhero films is present in Justice League. Steppenwolf, Justice League villain, feels underdeveloped. Courtney McDaniel, a junior at Southern Nazarene University, says, “The next film could do better by having a more realistic and developed villain would do wonders for the DCEU.” Having an underdeveloped villain takes away any threat that he carries throughout the film. The film still did have many positives. The lightheartedness of the film was extremely welcome after the darkness of the previous films, excluding Wonder Woman. Even if the lighthearted nature of the film felt a little off, it was still a welcome change to the DCEU. The action sequences, while they were tarnished somewhat by CGI, were still entertaining. The humor scattered throughout the film is well placed. It shows that the DCEU can incorporate humor in their film, and they should continue to follow through with it. The true highlight of the film are the superheroes which make up the Justice League. Higher praise goes to Gadot and Miller, who play Wonder Woman and Flash respectively. Haley Ryckman, a student at Southern Nazarene University, says, “The Flash was my favorite character because of his innocence and excitement to be in the Justice League.” The banter between each character showed how much joy they had while filming Justice League. The finished product shows how much they loved what they were doing. Though Justice League has flaws, it is still an entertaining movie to watch a group of friends. If you have not seen Justice League, you should take a Saturday to go watch it alone or with a good group of friends!